When we opened earlier this summer we knew we were in a place rich for the famous drink- Cognac, and naively when we think of cognac we think of Hennessy, Courvoisier and Remy Martin. However over the past few months we have discovered brands that are carved out by tradition, passion and family values. 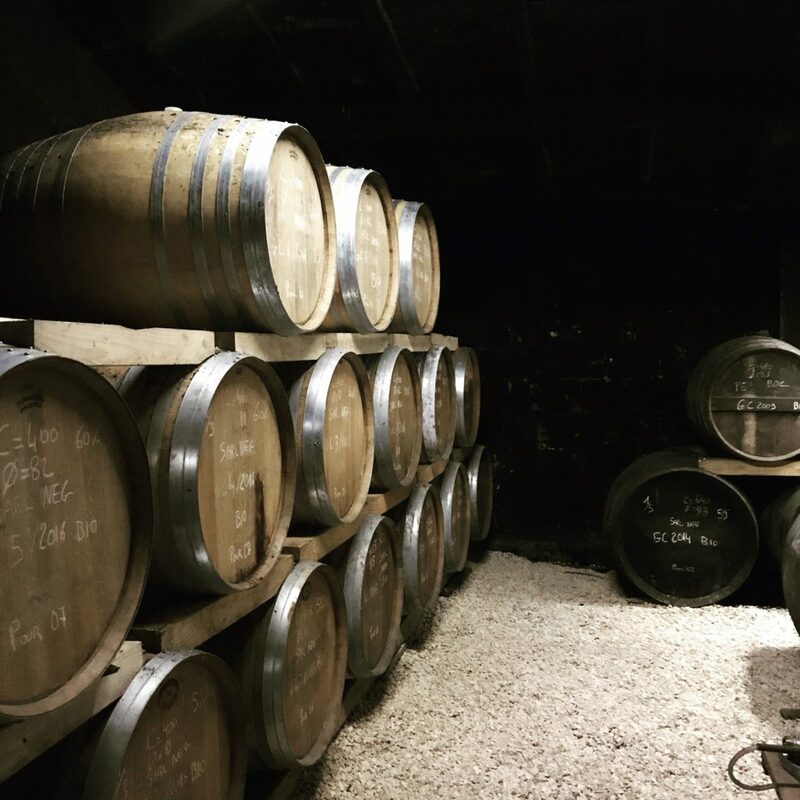 Located 5 minutes from us is a family run organic cognac distillery – Jean Luc Pasquet. It’s a humble business with world class products. We’ve had the joy of learning all about there process and the passion required for creating a fantastic product. It’s now run by the younger generation and the only difference is there attention to branding, positioning and creativity with their marketing but the one thing that remains is the production, the time spent looking after the vines and following years old traditions is incredible. They offer private tours and the most wonderful tasting experience. You can walk amongst the vines learning about the complexities of growing the grapes, you’ll then be taken through the process and be introduced to the how they make cognac- after you’ve been fully educated you get to taste their many products- organic cognac, sparkling rose and pineau. Our favourite is the sparkling rose, something which we will be offering for our weddings! In the typically french village of Bouteville at the base of the castle sits a company called Le Baume De Bouteville – this young innovative team have taken on the production, sales and marketing for balsmanic vinegar. We never thought a product famed for being Italian would be located 10 minutes away in rural France and again they have kept the traditions of the process throughout their daily tasks. The tour is fascinating and when you get to taste the vinegar you realise just how special a product it is. A much bigger brand – Greygoose. Is also produced here using the water from the river, its crazy to think such a world renowned brand is sourced so locally. The same river produces the most delicious caviar- vodka and caviar in the french countryside- not something we ever expected but utterly fabulous! Not too mentioned fresh shellfish such as Oysters direct from the Atlantic ocean on the West coast! G’Vine Gin is also made here, its luxury gin distilled from grapes and infused with flowers from the vines. Who know the vines were so versatile. The entire region is full of artisan food and drink brands using traditions with their methods but ensuring the world know about them. We now feel invested with the producers- if the weather takes a turn we worry for the vines as we now understand how precious they are for their families and business. Early summer is an early stage of growth for the vines, and the leaves are incredibly delicate, a hail stone downpour could wipe out an entire years production. They really do put their lively hoods in the hands of the gods. We encourage you to explore the region and discover as much as possible, we strive to support and promote our neighbours here in the Cognac region!